Giving out further details of the injury, Cricket South Africa (CSA) said that the bowler has suffered a Grade 1 injury in his right groin. A file photo of Dale Steyn. South African fast bowler Dale Steyn has been ruled out of action for seven to ten days due to a groin injury. The 35-year-old sustained the injury while playing a county cricket match for his team Hampshire against Northamptonshire Cricket Club, Sports24 reported. Reflecting on his injury, Steyn took to his official Twitter handle and allayed serious injury concerns. He further said that he is likely to return to action after a one-game break. 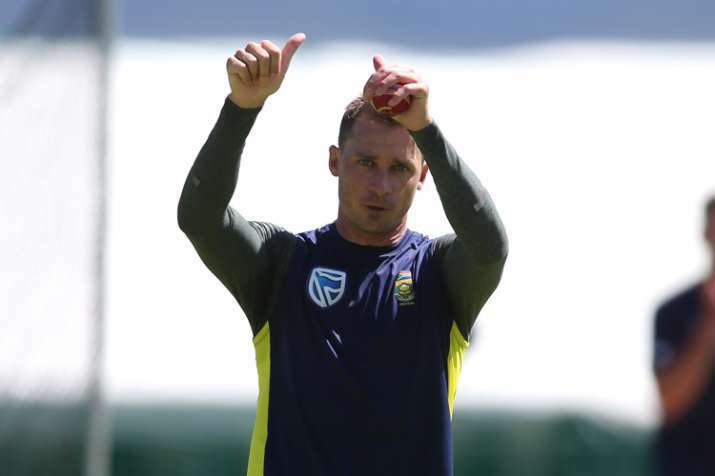 "Never had so much attention about my groin area...Small tweak, nothing serious, 7-10 days, Likely to miss 1 game," Steyn wrote. Giving out further details of the injury, Cricket South Africa (CSA) said that the bowler has suffered a Grade 1 injury in his right groin and would need at least 10-14 days to recuperate. "Dale Steyn injury update: Scans have revealed a Grade 1 strain to the right groin. The estimated recovery time is 10-14 days. He is aiming to return to action for Hampshire in their match against Worcester on 4 September," CSA tweeted. The pacer, who made his ODI debut in 2005, played his last one-day match against Australia in 2016. Steyn has appeared in a total of 116 ODIs and has taken 180 wickets with an economy rate of 4.94 while in Tests, he has scalped 421 wickets with an economy rate of 3.23 in 88 matches.